– To help you compare heat pumps, Seasonal Energy Efficiency Ratio (SEER) rates cooling efficiency and Heating Seasonal Performance Factor (HSPF) rates heating efficiency – with high numbers indicating high efficiency. – Consider models with the QuietDrive™ Comfort System – a combination of fan and unit features that meet your comfort needs more efficiently and quietly. 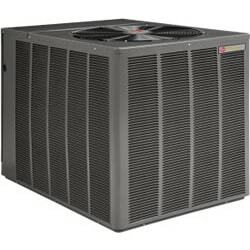 The Rheem Prestige Series™ High Efficiency Two-Stage RPRL-JEC Heat Pump can provide year-round heating and cooling comfort. Designed with your comfort in mind, YORK® LX Series heat pumps are easier to install and service. They come with improved service and standardized parts, and more simplified units while improving reliability. 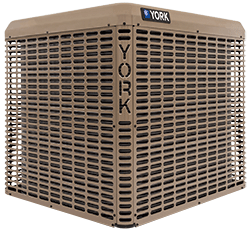 YORK® YHM – LX Series heat pumps feature innovative modulating technology to keep energy bills low while retaining a comfort level that matches unique space requirements. 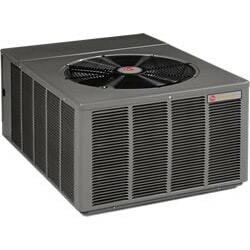 These units are the answers you need to your fluctuating indoor temperature. YORK® YZT – Affinity Series provide improved efficiency and performance. These products are available with environmentally friendly R-410A refrigerant. This refrigerant releases heat more efficiently and safely than other heat pumps. These products redefine home comfort through cutting-edge technology. They have advanced capacity and airflow features to precisely match your changing comfort requirements.